‘People totally forget the cameras’ are in the cockpit, said Paul Spring, president of Phoenix Heli-Flight. His company has been using cameras in the cockpit for nearly a decade. Cameras in the cockpit don’t just improve the safety of helicopter flight operations, they save money, and occasionally can even save a pilot's job, according to Paul Spring, president of Phoenix Heli-Flight in Fort McMurray, Alberta, Canada. Phoenix operates a mixed fleet of Airbus light singles and twins and has had cameras in its cockpits for nearly 10 years as part of its flight data recording systems. “The environment we work in can go from good to bad in a hurry, but when you know better, you do better,” Spring said. “Cameras should be in the cockpit of every aircraft. Cameras always seem to be a touchy subject for a lot of reasons and there are cases of crews intentionally defeating these devices. But if cameras are operated responsibly, the pilots do not need to fear these recordings. In some cases, cameras validate that crewmembers did nothing wrong during the post-incident investigation. We’ve learned a lot in my company over the last 11 years” that Phoenix has been using aircraft data and cockpit video recorders, Spring said. Spring gave several examples where cockpit cameras have saved his company substantial amounts over the years and/or helped improve the quality of operations. A helicopter with a relatively new engine experienced a torque exceedance. The camera showed the event occurred at 40 knots so no teardown was required. Had the airspeed been 55 knots or greater a teardown would have been mandated, costing hundreds of thousands of dollars. In another case, an EC130T2 long-lining a 2,300-pound Kubota mini-ho (small bulldozer) prematurely jettisoned the load. The cockpit camera showed that the pilot’s hand was nowhere near the hook release button when the load departed the aircraft. The pilot, who initially thought he would be fired over the incident, kept his job and Phoenix recovered $83,000 from the company that overhauled the hook prior to the accident in an out-of-court settlement. In yet another incident, a pilot coming off 15 days of firefighting duty spun an aircraft during an engine wash, damaging a ground power cart and breaking some of the helicopter’s windows. The video showed the pilot, who initially blamed the mishap on the helicopter, was on his phone, not wearing a helmet or flight suit, didn’t have his feet on the pedals or hands on the controls at the time of the accident. Several of these conditions were violations of the company’s operating procedures, but Phoenix Heli-Flight also used the video to revise its policies concerning fatigue. Finally, an EC135 on a medevac mission returned shortly to dispatch when its two-pilot crew said the rotor tach failed. 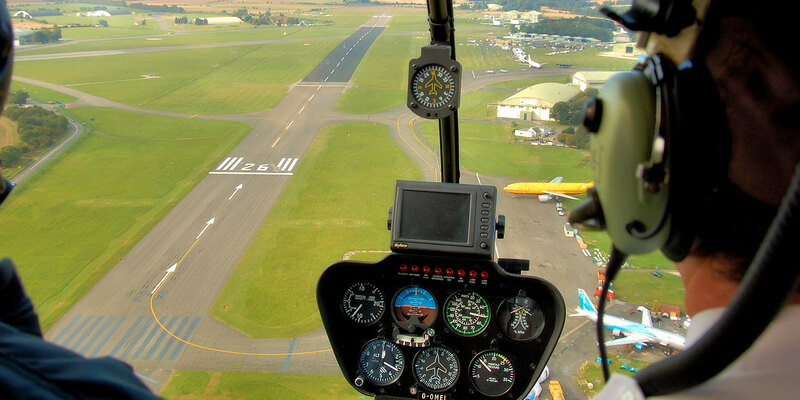 The video showed the rotor tach was never working, the crew breezed by the problem during the takeoff checklist and then took 20 minutes to discover the condition after departure. He said the company generally keeps this encrypted data and video for up to six months, unless for some reason it is needed longer.